by Jerome Osentowski. Chelsea Green, 2015. 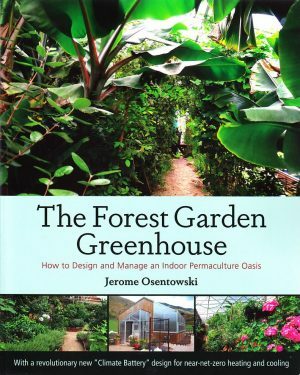 This ground-breaking book describes how to design and manage a forest garden greenhouse, using a “climate battery” system (ie soil heat storage system) for cooling in summer and heating in winter. Jerome uses his experience in Colorado to recommend greenhouse designs, crops you can grow and management techniques. 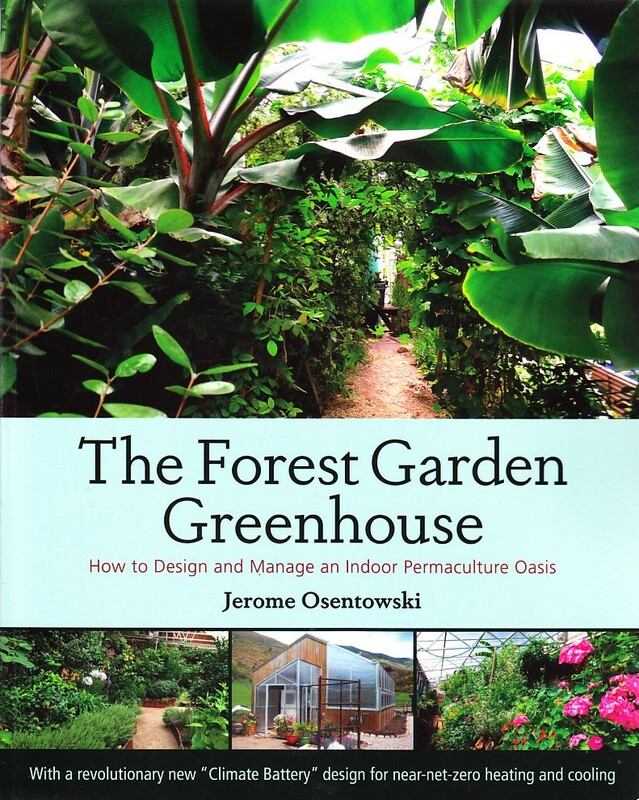 This ground-breaking book describes how to design and manage a forest garden greenhouse, using a “climate battery” system (ie soil heat storage system) for cooling in summer and heating in winter. Jerome uses his experience in Colorado to recommend greenhouse designs, crops you can grow and management techniques.